UNO offers convenient, secure services and homely atmosphere with some of the best price in the city. A security deposit of \1,000 for the room key is required upon check-in. This amount will be refunded upon check-out, after the key is returned. Our friendly and English speaking staff are waiting for your call and be happy to provide any information you need. Great experience! Ueno is not too crowded but still has alot to offer. The hostel is 5min away from trainstation and subwaylines. The Lawson store is on the next corner and has everything you need, two! Seven Elevens both 1-2min walk also has everything you could need and an ATM! Both stores are open 24/7! Downstairs you have room to chill and a small kitchen to make food. Rooms are small but thats just how Tokyo is. We had a mini fridge in the room and there's a bigger fridge in the kitchen. 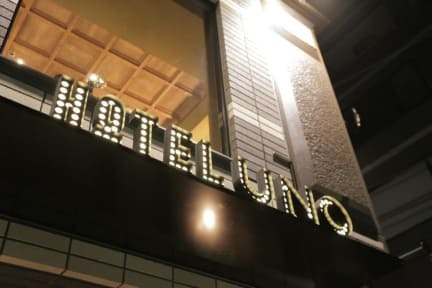 Good place to stay in Tokyo. The People are very Nice and helpful. 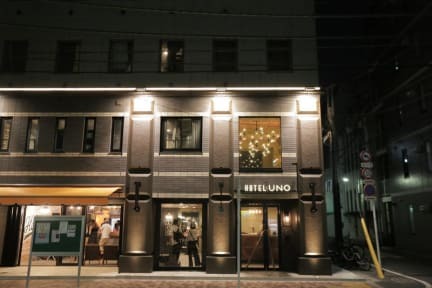 Good beds and base for visits in Tokyo. Heel schoon, vriendelijke personeel, de kamer was aan de kleine kant. Verder een goede locatie om alles van Tokyo te kunnen zien. Ueno station is perfect hiervoor. A nice hostel to stay. Friendly staff, bagage can be left locked during the day. No breakfast. 6bed dorm is rather small. Ueno had a big station nearby and good connections to the rest of tokyo. Not a real good place to socialize with fellow travelers. This place is more like a hostel than a hostel. Atmosphere was fine, but difficult to get in touch with other guests. Very small rooms. Rooms and facilities are very clean!